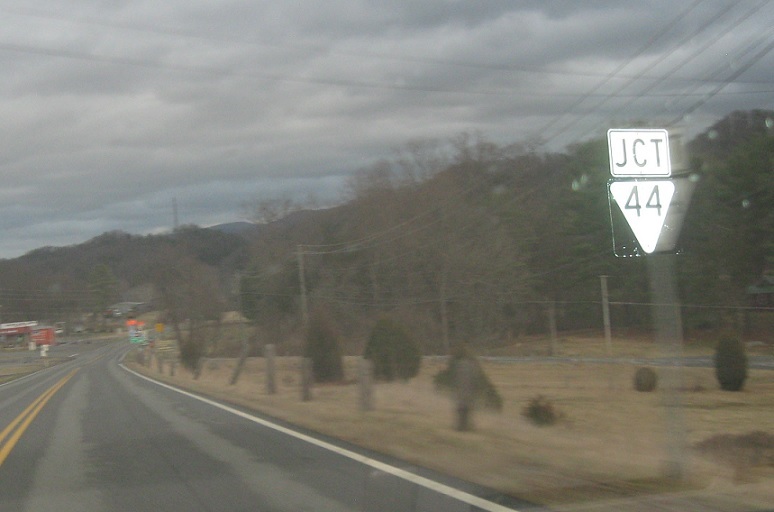 A mile later, we’ll approach the SR 44 split. 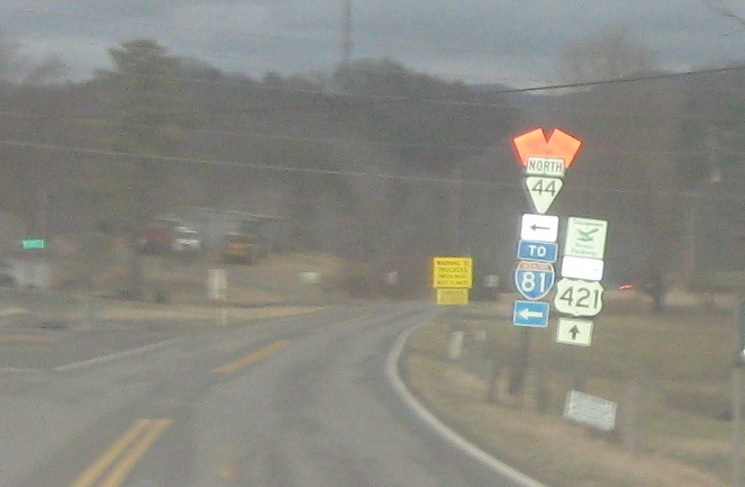 Turn left for 44 north to I-81 (in Virginia) via VA 75. Stay straight for 421 south/34 east.